"About Our Freedom is once again honored to share the recent news regarding the Slave Dwelling Project and Joseph McGill Jr's recent stays. His impressive work is raising the importance of preserving the places where our ancestors once lived." 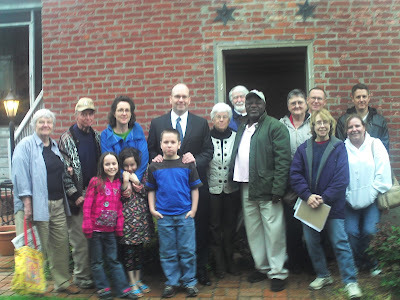 "Before Joseph McGill’s visit during the 3rd week of April, very little recognition of Missouri’s Little Dixie slave cabins could be found beyond my own efforts with my program, “Little Cabins.” I can now say that we have people talking about Missouri’s slave cabins from Kansas City to St. Louis, something that did not exist before. I know the spotlight will not last long, but it is our organization’s desire, as well as my own, to keep the light shining bright for as long as possible with the help of Joseph McGill and his unique and important project, said Gary Fuenfhausen, President, "Missouri's Little Dixie Heritage Foundation." 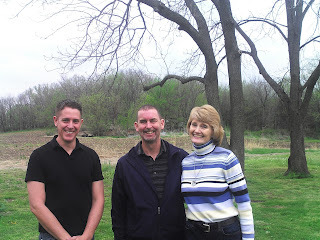 Monday, April 18, 2011 found me in Pleasant Green, Missouri to stay at Burwood Plantation. 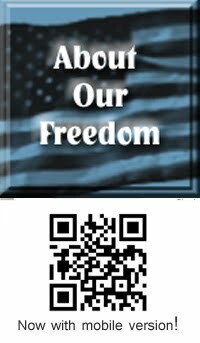 I came upon this opportunity through Gary Feunfhausen who contacted me back in December 2010. He is a researcher and architectural and cultural historian living in Missouri with an interest in slave history. He had been researching slave dwellings in the state of Missouri. We both agreed that the Slave Dwelling Project would go over well in Missouri. 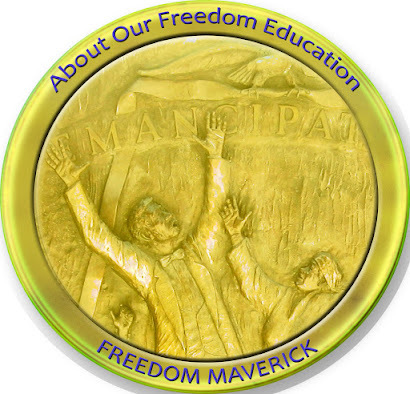 To that end, Gary proceeded to make plans for the trip, he stepped out on faith and sealed the dates in anticipation that the Missouri Humanities Council would fund the project. Two weeks prior to my trip, Gary received word that his proposal would be funded by the Council. Burwood would be one of four stays scheduled for the trip to Missouri. My day did not start well. My flight out of Charleston, SC was cancelled. My rescheduled flight would get me to Missouri 5 hours after the time that I was originally scheduled to arrive in Kansas City. When David Lerch, another major player in organizing the trip, became aware of the situation, he immediately took charge and got me on a flight that would shave 2 hours off of the rescheduled arrival time. This was vital in order to stick to the mutually agreed upon schedule. 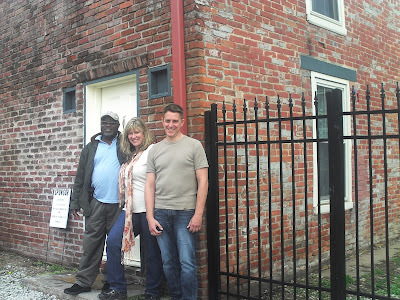 When I got to Burwood Plantation, I was greeted by the home owner Vicki McCarrell. 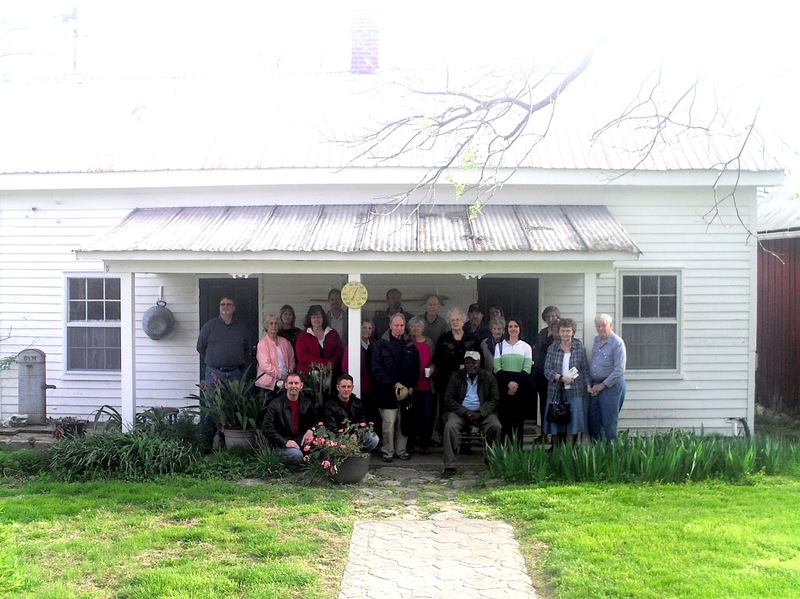 She had assembled a group that was anxious to hear about the Slave Dwelling Project. The media was represented well within the dynamics of the group. Everyone representing the media got their interview. But there was one gentleman Clayton Slater, a graduate student in Photo Journalism at the University of Missouri who was determined to go above and beyond. We came to an agreement that he could spend the night with me in the dwelling. I am anxious to see the finished product of his work. 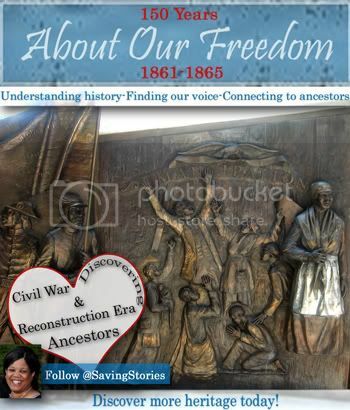 Tuesday, April 19 would be the first time I co-presented about the slave dwelling project. The lecture was given at Pickard Hall on the Campus of the University of Missouri in Columbia. I opened the presentation speaking on the need to preserve slave dwellings nationally and Gary followed with the need to preserve slave dwellings on a local and statewide level. Wednesday, April 20 found me at Pleasant Green Plantation in Pilot Grove, Missouri. I had already become acquainted with the owner Florence (Winky) Chesnutt - Friedrichs for she was a part of the group that gathered at Burwood the previous Monday night. A group of approximately 20 had gathered for a presentation on the Slave Dwelling Project. During the question and answer period, our host Winky did something quite profound, she read the list of all the slaves that were present on the plantation in 1863. As was common, each slave had only a first name, an age and was assigned a value which ranged from $0.00 to $200.00. Noticeably absent from the list were the names of men. As a Civil War reenactor, I immediately speculated that the men had seized the opportunity to join the Union Army. It is a known fact that the State of Missouri supplied 600 men to serve in the 1st Iowa Colored Infantry which was also known as the 60th United States Colored Troops. Of course my assumption led to a spirited discussion during the question and answer period. After the question and answer period we all proceeded outside for photographs and a tour of the slave dwelling. After the group left, Gary and I did a live radio interview about the project. We then had a nice dinner provided by Winky. The modest dwelling where I slept was the only one left of five that was once on the property, the other four being removed or burned by the new owners in the early 1900s. This one was lived in until the 1940s. My third stay occurred in Lexington, Missouri at the home owned by Elizabeth S. Sellers. Unfortunately, Mrs. Sellers was out of the state and could not meet me at the site but her son William W. Sellers was a gracious host, he connected me to Mrs. Sellers via a telephone call. 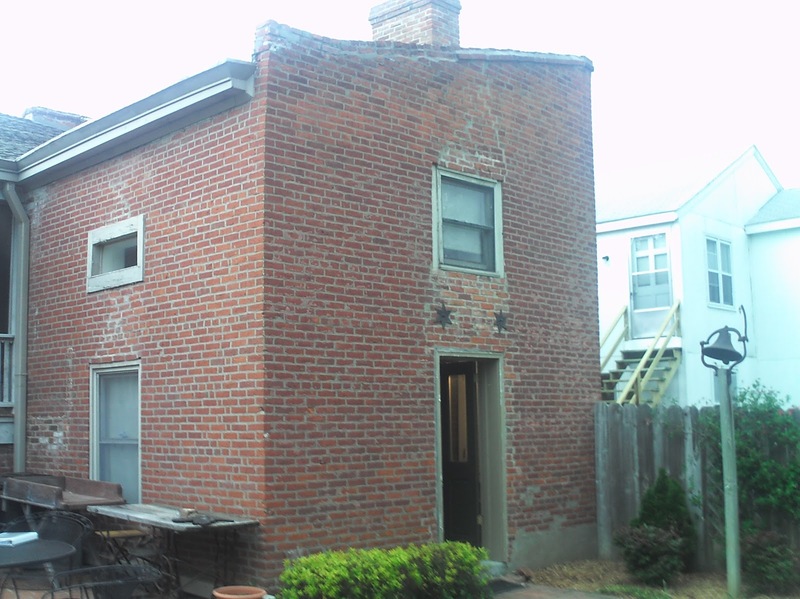 The Russell/Reinhard house, located within the city limits has a semidetached two-story summer kitchen and slave quarters. The original owner William Russell was a successful merchant and financer and also a partner with Waddell and Major in the overland trade and Pony Express. Here I was given a choice of sleeping in the modernized upstairs complete with beds or sleeping in the more authentic downstairs. For the sake of the Slave Dwelling Project, I chose the latter. It was business as usual, despite the rain, a group had gathered at the site to hear my thoughts. I noticed that the project had established a following, some of the same people were showing up at these sites. After the group left, Gary and I sat down to have conversation with William. Included in the conversation was how some Union troops robbed the local bank during the Civil War and how one of the local bank was robbed by Jessie James. My fourth and last stay in Missouri occurred at Winsor/Aull Greek Revival Mansion. The house and quarters was built in 1851, by Thomas Winsor, on the Missouri River bluff. Winsor, who was a successful merchant and banker, owned 3 slaves in 1850. Old houses are in my blood, always have been. That is why I moved from the West Coast to Lexington, Missouri. It was incidental that my home has slave quarters on the property, but that particular area has become one of our favorite hide-a-ways on our property. It represents part of our history, one that many choose to ignore, or more importantly, make the conscious decision to remove such structures because they are deemed insignificant in comparison to the principal dwelling on the property. Not all of our history may be pleasant, but it is history none-the-less and should not be ignored. It should not be deliberately demolished, as if the lives of those who lived there and worked that land or in that house were inconsequential. I was so thrilled to be a part of Mr. McGill’s Slave Quarters Project and thoroughly enjoyed meeting him and hearing of his endeavor to preserve these integral parts of our past. As he states in his lectures and on his slides, “these places matter”. The last scheduled event was a lecture on Saturday, April 23 which was given by me and Gary at the Battle of Lexington State Historic Site. Missouri was the fourth state to which the Slave Dwelling Project was expanded. This trip was a lesson in how slavery factored into the westward expansion of the United States. It was also a lesson in how slavery factored into the hemp industry. Additionally, it expanded my knowledge of how and why the state of Missouri remained a border state during the Civil War and never officially committed to either side. The four private owners who allowed me to spend a night in their well preserved and maintained former slave dwellings deserve a big thank you. We need more like you. I must especially thank Gary Fuenfhausen for all of the work that he has done to date to replicate on a statewide level what I am trying to accomplish on a national level. It was only fate that our paths crossed, we both have a lot of additional work to do.